This isn’t your average Skyline. You see, there are Skylines out there that aren’t GT-R’s. There are Skylines out there that aren’t singularly made to go fast, but rather for more, well, utilitarian purposes. 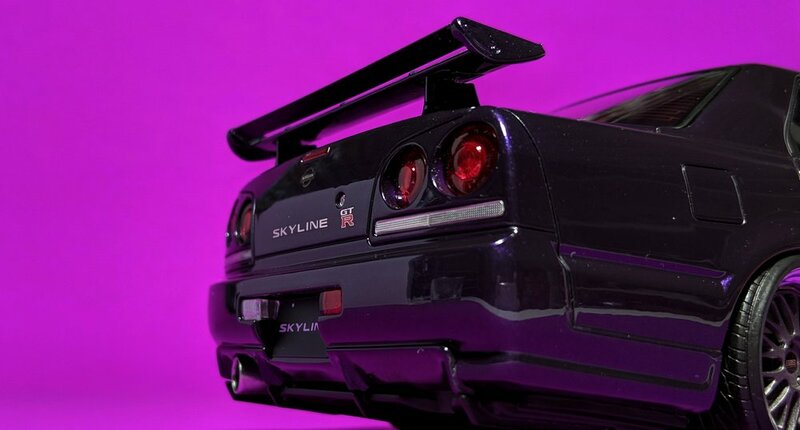 There are Skylines out there with more than two doors, and there are R34 Skylines out there besides the kind driven by Brian O’Connor in Fast & Furious. Mind-blowing, I know. Go to Japan and you’ll see what I mean; you’ll find more of these on the streets than actual GT-R’s. Back in the 50’s, the Skyline was conceived as a line of luxury cars—remember that the current Q50/60 (and the G35/37 before it), as we know them here in the states, are just rebadged, U.S.-market, Skylines. Somewhere along the way, its destiny diverged into two paths. One half stayed true to its roots; the other morphed into the almighty Godzilla that the Skyline name is now universally associated with. There’s a reason why the R35 GT-R no longer inherits the Skyline family name: Nissan finally recognized that they needed to separate the two personalities for good. Don’t be fooled by the GT-R insignia on this bad boy, though. 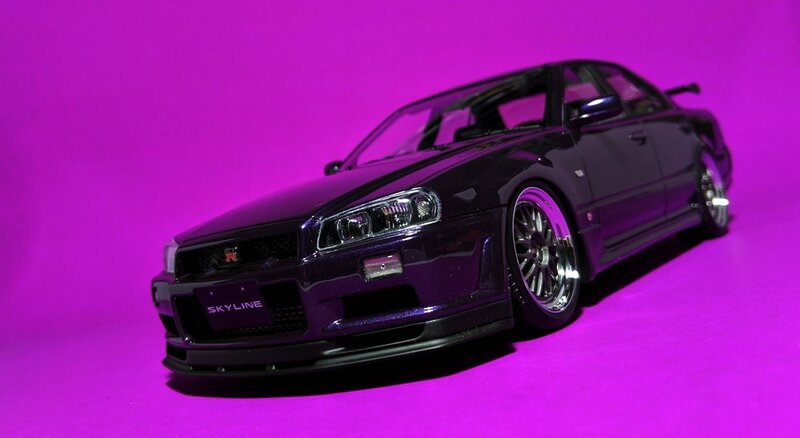 The 4-door R34 was never offered in the full beast-mode GT-R trim, so this model is either a badge swap or a conversion. Nonetheless, the 25GT Turbo is no slouch. It’s the fastest R34 sedan available and, with 280 horses under the bonnet, makes for the perfect sleeper. That’s pretty substantial output for a late-90’s car, especially back when cars weren’t bogged down by mandatory safety equipment and extraneous electrical systems. In contrast with my prior experiences with Ignition, the detail here isn’t exemplary but, rather, satisfactory. Only the driver’s seat has its belts. (Weight savings, perhaps?) The cross-drilled rotors have printed black dots to represent the holes, when you would expect them to be debossed on a model of this caliber. 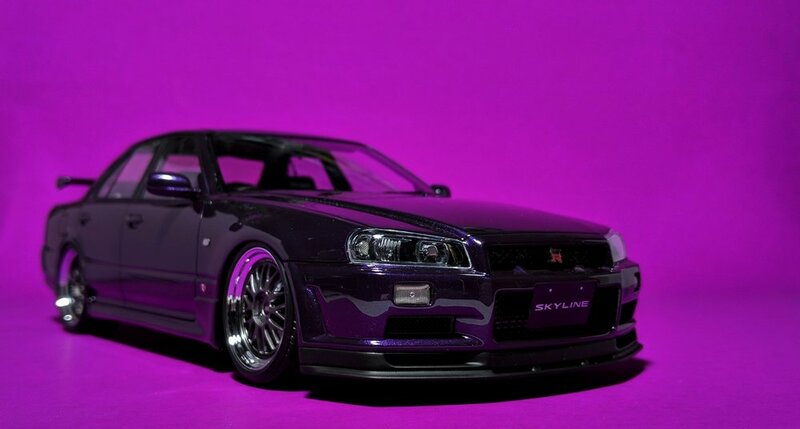 It’s still a finely-tuned automobile as always with Ignition, and this R34 certainly looks the part with its Midnight Purple coat and set of gunmetal BBS LM’s on low-profile tires. And need I talk about the color of this thing? 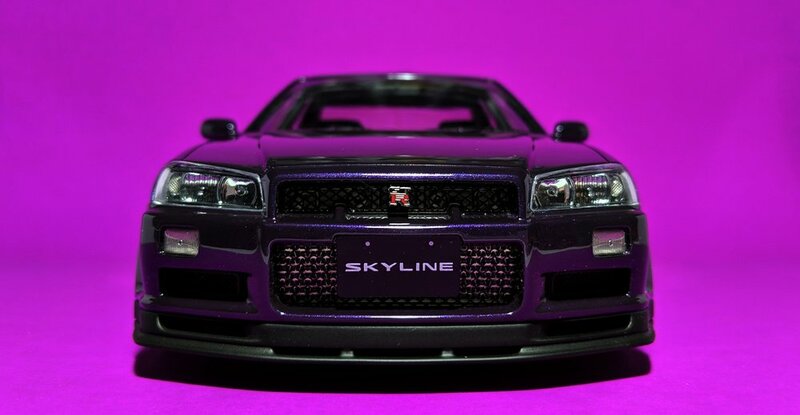 Godzilla made purple cars cool, and Midnight Purple is the greatest paint color in the history of automobiles. Come at me, bro.